Sometime during mid Summer, 2013, Brett and I decided that although we liked our current home, we didn’t LOVE it. It just didn’t feel like *us*. We were about to be married in just a few short months, so we had a lot on our plates, but we decided why not list our home for sale and see if we get any interest…Well, there was LOTS of interest- so much so that it sold in a bidding war in just two days. It was wonderful news, but it meant that we needed to find our new home FAST. 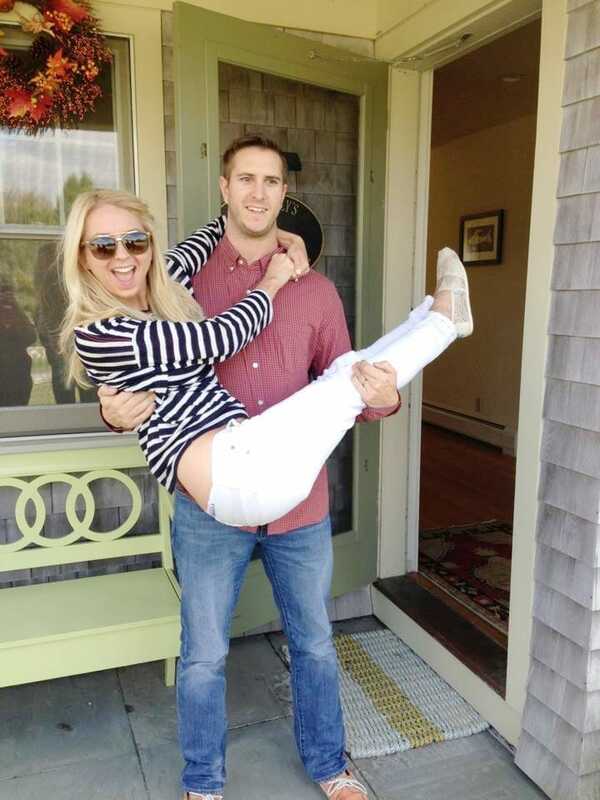 Living in a quaint & rural town just minutes from the ocean, we knew we wanted our new home to have coastal, farmhouse feel. We were okay with renovating, but it needed to have the proper “bones”. So after a month of searching, we found our perfect home. It had all the right bones and *almost* everything we were looking for- custom built, loads of character, antique stone walls, and situated on a 2 acre lot in an quaint, yet established neighborhood. The only stipulation was that it would require some work and an addition (where our future children’s rooms would be) to turn it into our dream home….but we were okay with that! 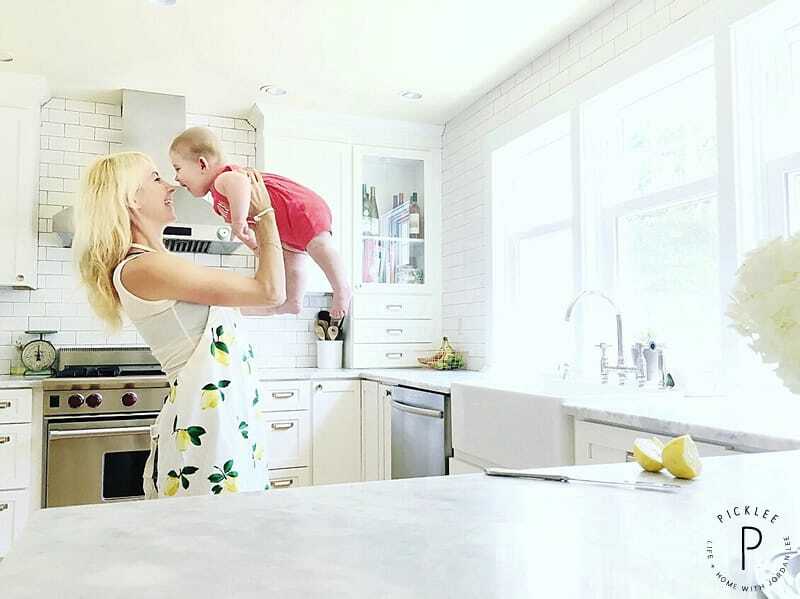 When we moved into our new home that August, we knew the kitchen renovation would be first on the list of things to do. It was the heart of our new open concept home, and it simply wasn’t our taste-at all. So the day after we got married, on October 12, 2013, we left for our honeymoon and demolition began on dream kitchen! 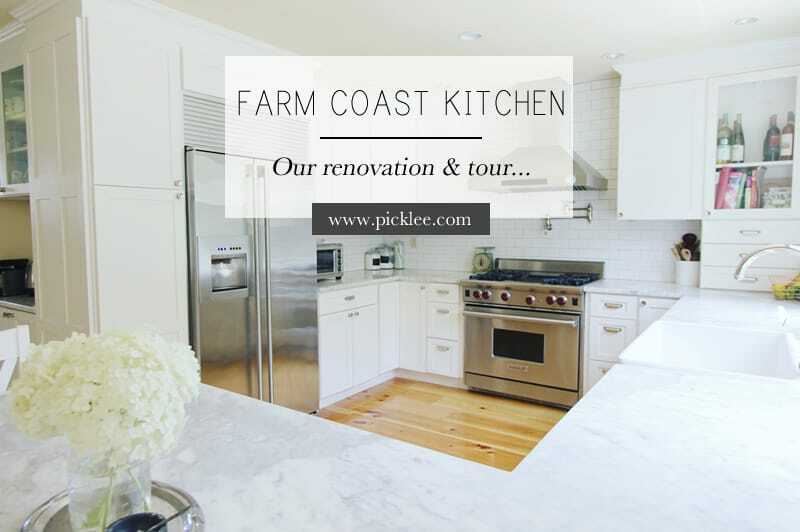 When we returned home 10 days later, our kitchen was one step closer to our farm coast kitchen dream! Okay, so here’s how our kitchen began. I apologize for the awful quality of this photo, as it came straight from the old real estate listing! Now, I can say that I’ve definitely seen worse kitchens, but the layout and style of this one just didn’t work for us. Our kitchen required a bit more then a demo. We also extended the size and opened it up even more to accommodate a lunch counter. 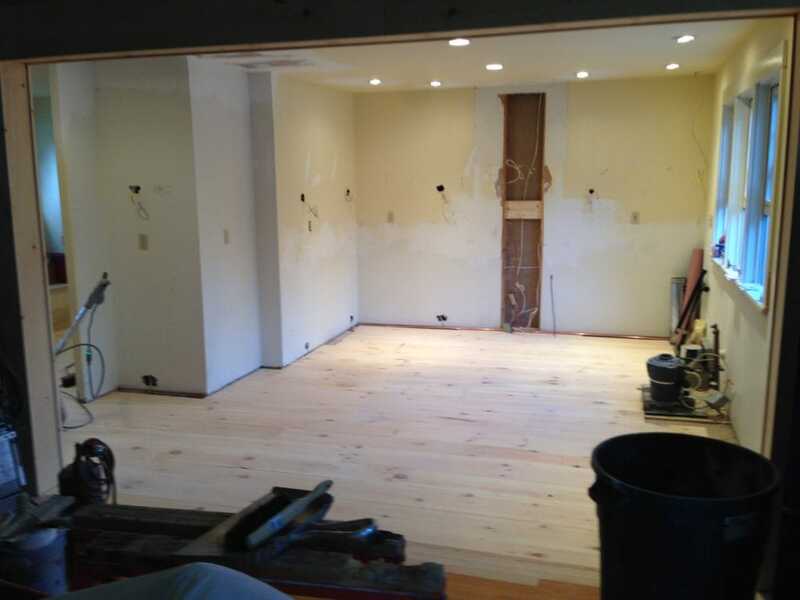 This photo was taken the day we returned home from our honeymoon after the structural changes were made and our new pine floors were installed! The entire project took about 6 weeks. Luckily, we didn’t have our children yet so it was relatively easy for us to live among the mess. I’ll never forgot the day our new appliances arrived and we could cook again, it really made the project feel close to completion. 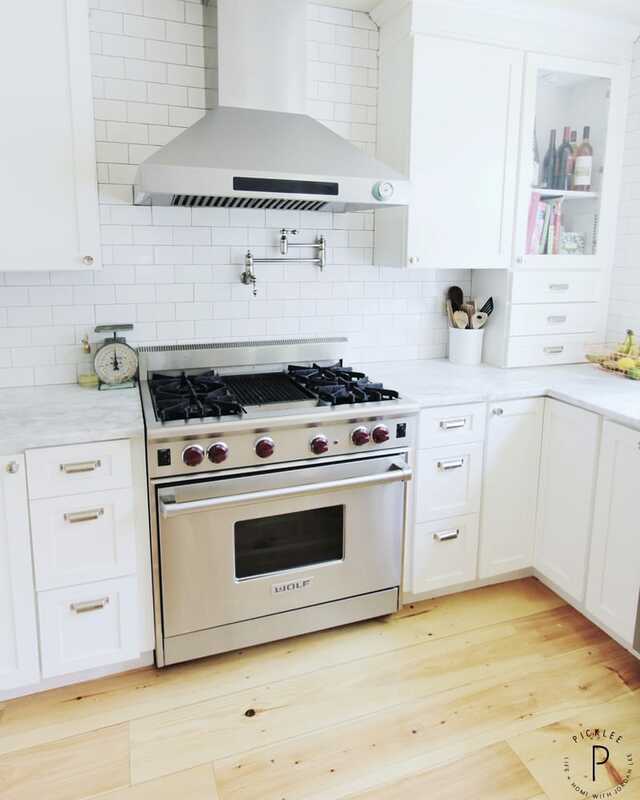 We decided to go with the 5 burner Wolf range with a center grill, and a side by side Electrolux refrigerator and I’m still loving our selections 4 years later! 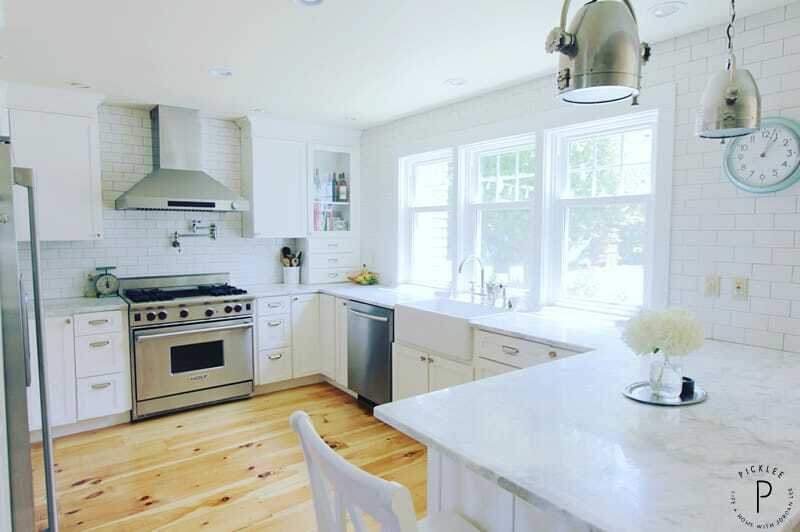 Here’s our completed coastal farmhouse kitchen! I love how open and bright out design turned out. It’s the most used room in our home and it just puts off the happiest vibes! 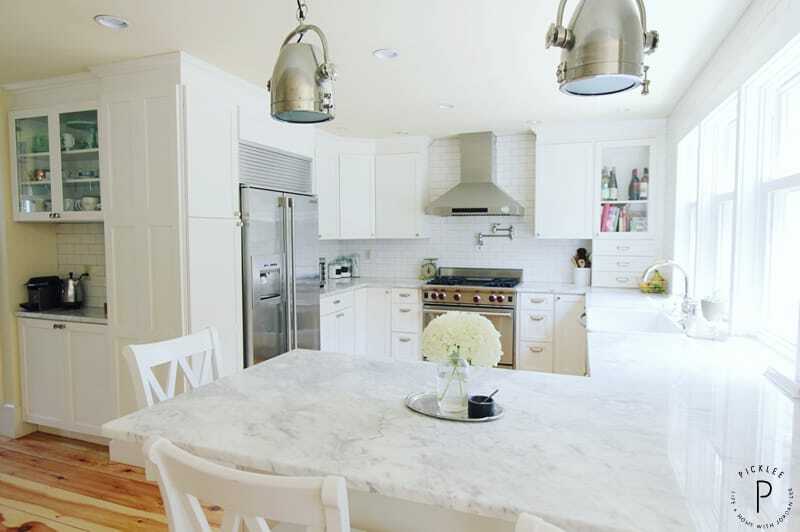 When we designed the kitchen, Carrera marble counter tops were a non-negotiable on my list. Carrera marble isn’t known for being the most resilient and it does scratch very easily (and we have lots of evidence of this after three kids! ), but I accepted that as part of its character and it doesn’t both me at all. The same goes for our pine floors, they also scratch and dent easily, but again, this doesn’t bother me. In my opinion, it just adds to the character of our farm coast home and makes it feel lived in. Our farmhouse sink was another non-negotiable on my list and I love it (especially for baby baths now!). I do have one regret though. There was much deliberation over whether to under mount the sink or allow the edges come past the counter, we decided on the latter and regret it. 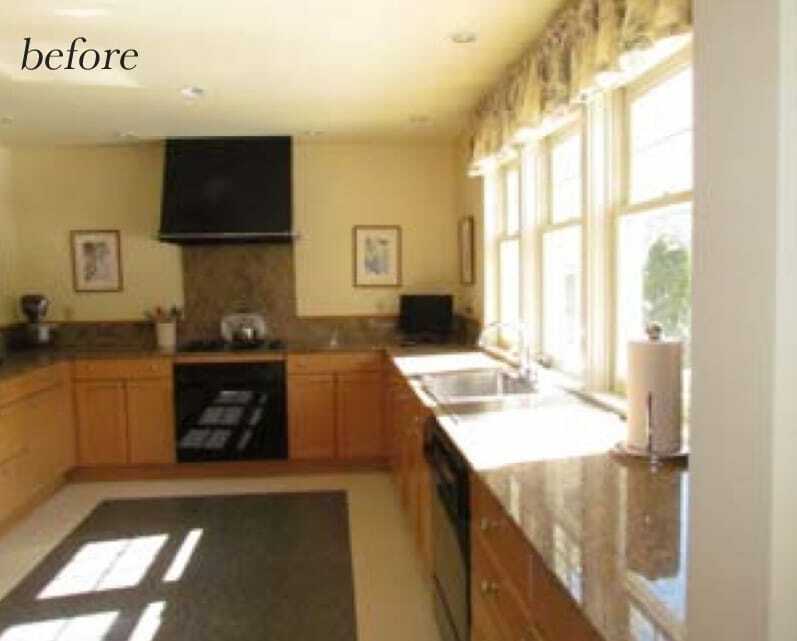 If we could do it again, we would have run the counter tops over the sink for easier cleaning. 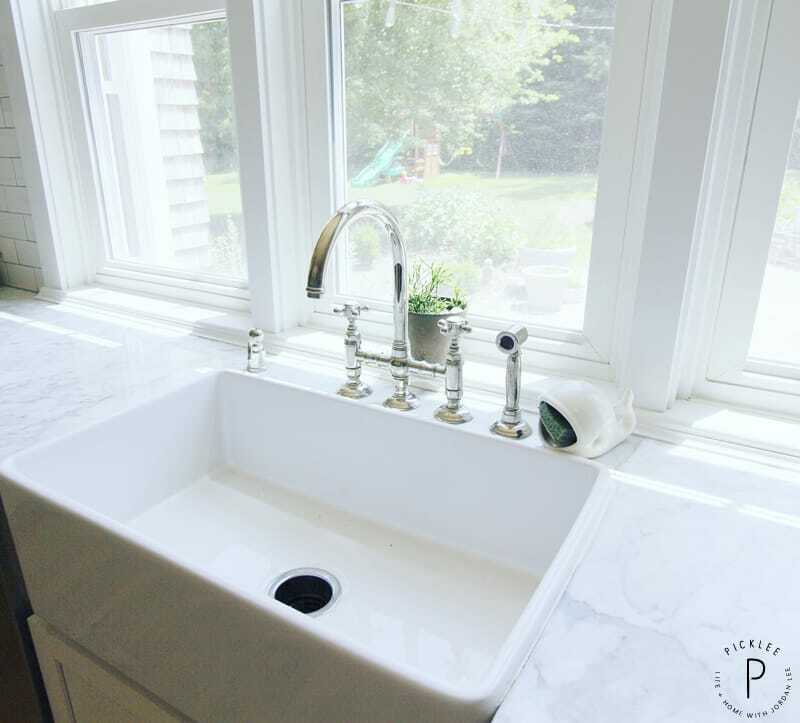 Our bridge style faucet (by Rohl) also took us several weeks to select, as I have a may slight obsession with fixtures… We went with a classic polished nickel finish on the faucet and all other kitchen hardware to keep things simple & clean. One of the things we loved about our home (and it’s “bones”) when we purchased it, is all the natural light that pours in through the large windows. 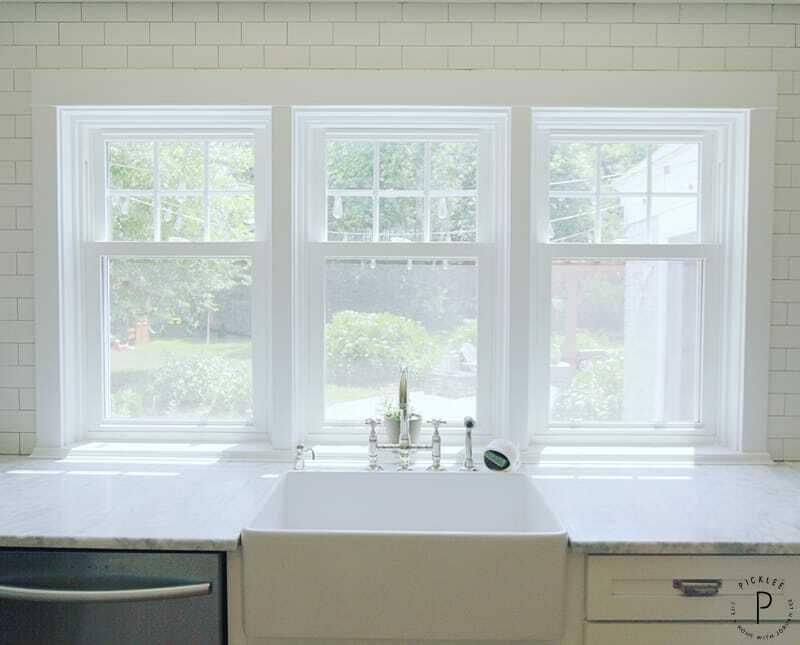 I especially loved these three kitchen windows looking out on our back yard! 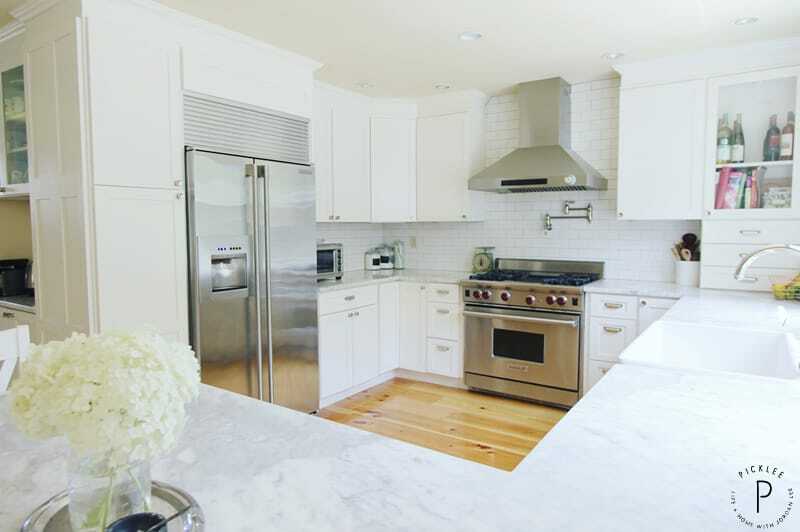 We covered the entire kitchen in subway tiles to make things easier to clean, plus, it didn’t hurt that they also look amazing! Our range was another source of much deliberation. We compared Viking and Wolf ranges for weeks before we made the decision to go with the Wolf- a decision we are still very happy with four years later! When we gut the kitchen, we had the opportunity to add plumbing for a pot filler. We decided to add it, thinking we may not use it much but it would look great at the very least. We were WRONG. Our pot filler is used just as much if not more than any other fixture in our kitchen, and I’ve now become spoiled by having it. I’m so happy with the way our coastal farmhouse kitchen turned out. The best part is now being able to enjoy it as a family, just like we imagined as newlyweds four years ago! One last peak… 😉 I hope you enjoyed our coastal farmhouse tour! Aw, thank you- so glad you enjoyed it! Beautiful! Love it I have a condo (use to be apartments) not sure how to redo it. But love how you did your kitchen. Thank you, Jackie! 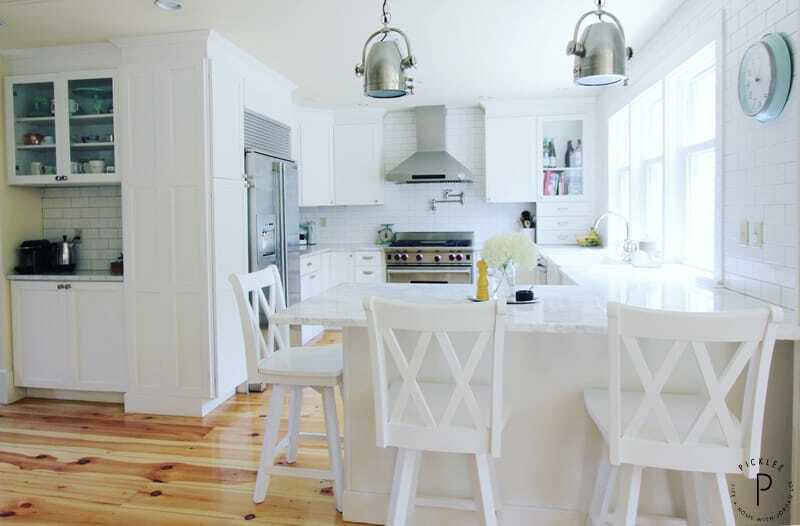 I always tend to gravitate toward clean, classic details & with a ‘less is more’ attitude! Have you looked into Ikea cabinets? They have great options, and especially for condos/apt spaces!